Motorsport is easy to get involved in. You don’t have to have a special competition car to get started in motorsport with events such as motorkhanas, dirt circuit events and supersprints on race circuits providing the opportunity for road cars to be driven in a controlled competition environment. You could also get involved as an official and play a key role in motorsport events of all types, potentially getting to be involved in major world championship events such as the Australian F1 Grand Prix and World Rally Championships in Northern NSW. First step is to join a CAMS-affiliated car club like North Shore Sporting Car Club, which will give you the chance to enter club events, become and official or take part in regular driver training days to enable you to find out what motorsport is all about. 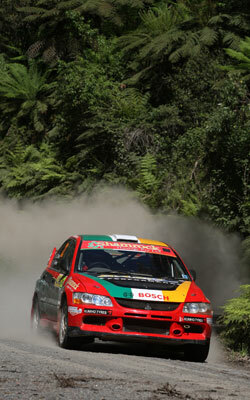 NSSCC stages a number of events each year including motorkhanas, supersprints, khanacross and also helps stage a round of the NSW State Rally Championship each year, the Kumho Tyres Rally of the Bay at Batemans Bay. NSSCC meets on the first Monday of each month (except when it is a public holiday). The club meetings highlight coming and past events, allow a forum for plenty of motorsport chat, and usually feature the showing of a recent motorsport video or a prominents motorsport identity as a guest speaker. 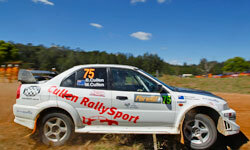 Come along and find out how much fun motorsport can be, and join North Shore Sporting Car Club.